The Predator finally arrived in theaters last weekend and, unfortunately, it wasn’t quite the revival of the franchise many were hoping for. In all likelihood, it’s going to be back to the drawing board, or to the graveyard, for the hunters after this one. Not that this would have fixed the movie’s larger problems, but according to a new report, this latest entry originally had a very different ending that would have been much more crowd-pleasing and would have included a great cameo. Warning: major spoilers ahead for The Predator. The movie’s last scene, as it exists, sees Quinn McKenna (Boyd Holbrook) discovering that a Predator who has betrayed his species has given humanity a way to combat the killers in the future. Billed as a “Predator killer”, it’s a suit of armor, not dissimilar to what Iron Man wears, with a design befitting this particular franchise. McKenna is the man who can use the suit and it’s clear the intention was to have him hunting down the aliens in this suit in future installments. The hunters becoming the hunted. That sequel is almost surely off the table, but if the movie’s original ending had happened, maybe we would be having a different conversation. In an earlier draft of the screenplay, penned by Fred Decker and director Shane Black, this scene doesn’t exist. Instead, just after Quinn McKenna, his son Rory (Jacob Tremblay) and Casey (Olivia Munn) survive their encounter with the Ultimate Predator, defeating him in a bloody battle, they come across a helicopter that lands near them. And who is it that climbs out of this helicopter? None other than Arnold Schwarzenegger as Dutch who, according to the script has a “face haunted; etched by pain.” Dutch instructs them to come with him. Rory then asks, “Uh…me, too?” Dutch replies, smiling, with, “Especially you.” Cut to credits. In spite of all the movie’s flaws, this Schwarzenegger cameo may well have managed to give fans something they really wanted to see at the end. 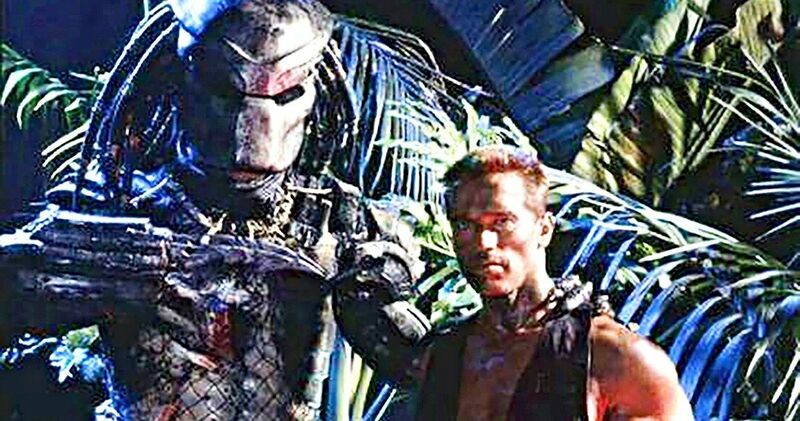 And no doubt, the sequel being set up here would have been much more appealing than low-rent Iron Man v Predator. However, as Shane Black explained recently, this cameo role was offered to Schwarzenegger early on in the process. He, however, opted to do Terminator 6, as he didn’t feel the role was meaty enough. Though, it seems like the sequel to The Predator would have given Dutch a lot more to do. Alas, we’re now discussing what could have been and not what is. Thus far, The Predator has grossed just $56 million worldwide, working from a reported budget of $88 million. But honestly, that figure seems low as this looks like it easily cost $100 million or more to make. Not only that, but critics and fans aren’t having it, for the most part, as the movie currently carries a 34 percent critic score and 50 percent audience rating on Rotten Tomatoes. This was originally reported by Birth.Movies.Death.